Returning to her modest brick house on Swann Drive this week, she shook her head as she surveyed the new damage from Hurricane Florence. She still thinks about coming back to stay one day — to the place of her childhood memories, where her 85-year-old grandmother and cousin still live just streets away. But she can’t say when. As reported this week by Brian Kennedy of the N.C. Justice Center’s Budget & Tax Center, minority communities in the eastern part of the state are often in the lowest lying areas and floodplains. That’s not historical coincidence. It’s the result of generations of housing discrimination like redlining, racial housing covenants and poorly executed public housing projects. As Kennedy explained, much of eastern North Carolina lags behind the rest of the state in returning to pre-recession economic levels. 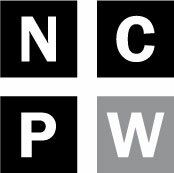 That’s not news to many living in the poorest parts of Robeson County, where there are five identified “extreme poverty neighborhoods” — census tracts in which the poverty rate is 40 percent or higher. Nearly 18,000 people live in those concentrated poverty areas in Robeson — up from just over 6,000 in 2000. 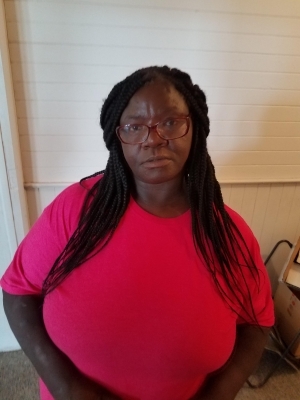 That’s a big part of why, despite the challenges of life as a displaced single mother, Kennedy is never away from Lumberton and its surrounding communities for very long. As founder of the non-profit Seeds of H.O.P.E., she continues doing relief, recovery and advocacy work in the area. As Florence approached, she got her sons to safety and set up a makeshift headquarters in the Quality Inn in Lumberton. There she helped safely evacuate 85 people and distribute more than 300 signs to people in the area so they could signal emergency workers if they needed help or tell them they were already safely evacuated. Adrienne Kennedy, founder of the non-profit Seeds of H.O.P.E., is working tirelessly to help storm victims recover. When her hotel itself began taking on water, Kennedy said she was rescued by an ad hoc group of volunteer private boat owners known as the Cajun Navy and evacuated to Laurinburg. But as quickly as she could arrange it, she was headed back to Robeson County. She was in Rowland on Tuesday, a small, rural town about 20 miles from Lumberton. While Lumberton is about 38 percent Black and 38 percent white, about 70 percent of Rowland’s 1,000 residents are Black. 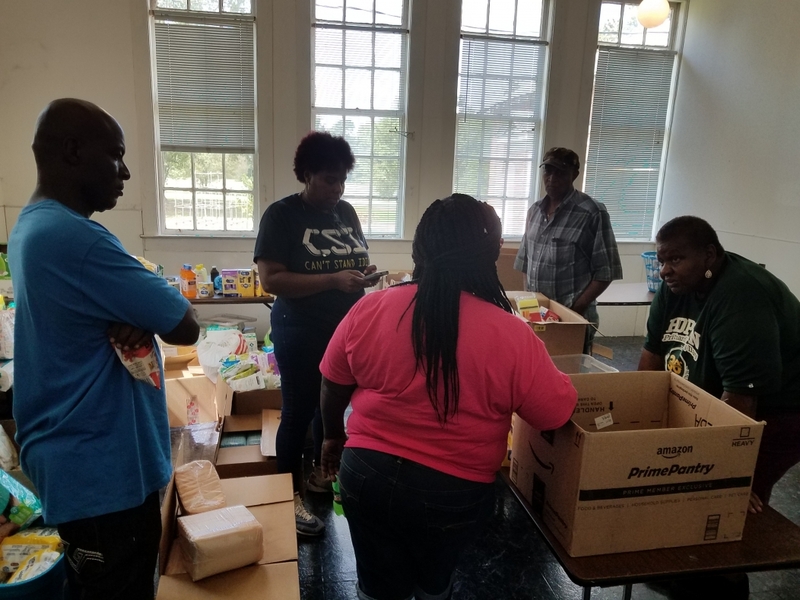 Members of the town’s Black community pulled together to organize relief efforts at the Southside School Alumni Association headquarters on Martin Luther King Jr. Drive. The small, hot building was Rowland’s only Black school during segregation. It was left to fall into disrepair when the schools were desegregated and new buildings took its place. The town agreed to lease the building to community members who wanted to use it as a community center with youth programs, but wouldn’t put any money into rehabilitating it. A few years ago, the alumni of the school raised enough money to buy the building outright for $15,000. A. Jean Love, 75, graduated from the school in 1960. She left for New York, where she worked with anti-poverty groups. She used those skills when she returned to Rowland, becoming a community organizer and member of the town’s Board of Commissioners. On Tuesday, she stood in the old school house, wiping sweat from her brow as she directed volunteers in categorizing donated clothes, water, food and diapers. A long line of locals began to form around noon, some of whom still don’t have running water or electricity. Some of those helping with the relief effort are staying in Love’s home until it’s safe for them to return to their own. A. Jean Love (far right) and other volunteers make a plan to distribute donated supplies in rural Robeson County. Love huddled with volunteers Tuesday trying to figure out why air drops of supplies don’t seem to be getting to them and why they sometimes only hear about them a day or two later. Poor communication from relief organizations and the state is confusing an already chaotic situation, she said. But they’re used to that, she said. The bustling schoolhouse was a testament to that Tuesday. Volunteers, mostly Black women, packed plastic bags of diapers, wipes and food staples, folded donated clothes on a series of long tables and encouraged those coming for help to fill out intake forms so that relief organizations and community partners can stay in touch and properly assess people’s needs. Adrienne Kennedy was pleased with the 92 intake sheets completed by the end of the day. That’s a success in an area in which many people with negative experiences with government and law enforcement are wary of giving out personal information and of outsiders in general. “The truth is, the way it’s set up now — the government model — it doesn’t make sense to a lot of people here and it doesn’t work for the way their lives really are,” Kennedy said. In trying to get help with house repairs, Kennedy said, it may be uncovered that someone’s mother actually owned the house and left it to the children when she died. But she didn’t have a will, no paperwork was done, their names aren’t on the deed. Or a “mom-and-pop” business may have been thriving in the rural area for generations, but it’s not officially incorporated. In a disaster like a hurricane, who do those people go to for help? Living close to the margins often means getting by as best you can, Kennedy said, and many minority communities in rural areas haven’t been given the access to education and assistance that would help them better protect what they do have. 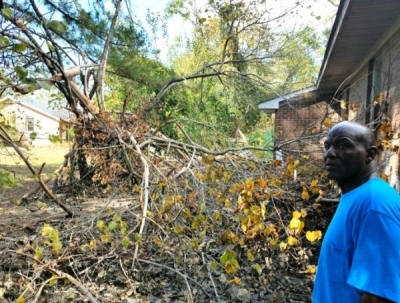 Robert Brockington has been busy, post-storm, giving estimates in the area for cleanup and repair. Even those with homes that were relatively safe are still struggling with racist attitudes in the struggle for recovery. Robert Brockington, another volunteer, is also a professional contractor. He owns several properties in Robeson County, he said, and was lucky they weren’t damaged badly during the most recent hurricane. He’s been busy, post-storm, giving estimates in the area for cleanup and repair. After Matthew, he said, he frequently ran into white clients who didn’t want to hire a Black man to help restore their homes. Stories like that are too common, Adrienne Kennedy said. She pointed to several volunteers carrying bottled water to cars outside the schoolhouse Tuesday. Jacqueline Leach, 54, is staying with Love this week until she can get back to her own home and begin the process of rebuilding — again. She paused, took a breath and looked around at neighbors helping neighbors deal with yet another life-changing disaster — the second in two years. Robeson County’s Black communities are hardly the only ones struggling in the recovery. The county is more than 40 percent Native American. The Lumbee people — an amalgamation of various Siouan, Algonquian, and Iroquoian speaking tribes — is the largest tribe east of the Mississippi River. 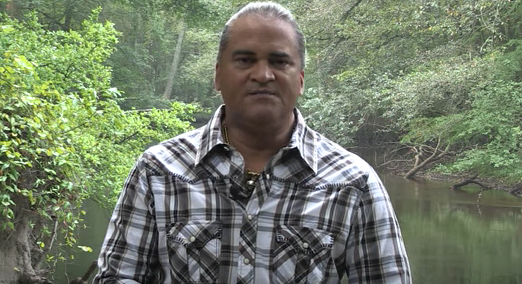 North Carolina’s approximately 55,000 Lumbee are largely concentrated in Robeson, Hoke, Cumberland and Scotland counties. Tribal Chairman Harvey Godwin Jr. said the tribe has historically made its home near the rivers and swamps and has no wish to leave. They have partnered with the offices of Sen. Richard Burr and Gov. Roy Cooper, not only to make sure they aren’t left out of recovery efforts but to retain access to their tribal areas in the recovery, Godwin said. “We want to be sure we control our own destiny as a tribe,” Godwin said. That’s been the tribe’s attitude through hundreds of years of discrimination — from targeting by the Ku Klux Klan in the 1950s and continued discrimination by white, Black and even other native peoples. The tribe is grateful for help from the American Red Cross and Sean Penn’s J/P HRO non-profit, which are supplying hot meals, Godwin said. They’re working with them to be sure that it’s not just Lumbee people who are being aided, but people across Robeson County. What happened after Hurricane Matthew, McClain said, was that everyone was concerned with the area and with the Lumbee people for a few weeks, and then the news cycle moved on. 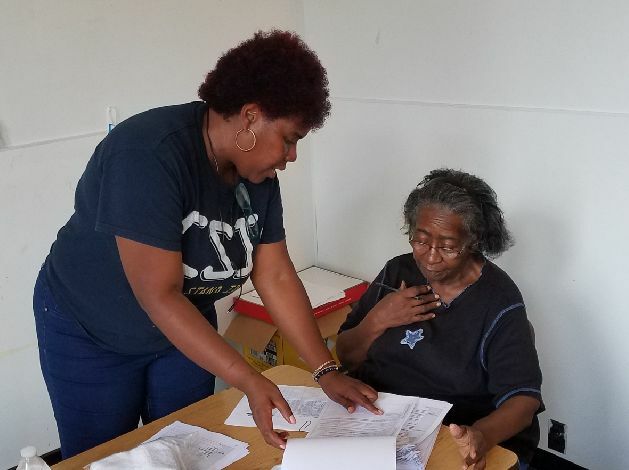 The Lumbee, already experiencing food insecurity at a rate 10 percent higher than others in Robeson County, continued to pull together and try to recover as best they could. Long-term recovery would be easier if the Lumbee could attain federal recognition as a tribe, Godwin said, unlocking more federal aid and resources. That’s something they’ve been seeking for 130 years. They have been recognized by the state since 1885. But though the U.S. Congress passed the Lumbee Act recognizing them as American Indians in 1956, it denied them full status as a federally recognized tribe. In 2016, the U.S. Department of the Interior reversed its long-held position that the Lumbee Act terminated the tribe’s existing rights, benefits, and privileges while also prohibiting future legislation applying to them as a tribe. 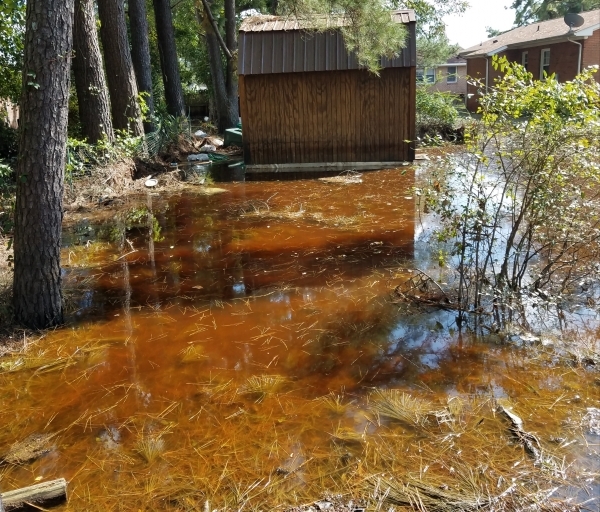 Among the historical slights the Lumbee have faced is one that is a problem for all citizens of Robeson County, Godwin said: poor investment in local infrastructure that could prevent or lessen the effects of flooding during major storms. Facing the second hurricane in two years, Godwin said many Lumbee people weren’t yet fully recovered from the first. That was the case for Lisa Walker, whose family lives in unincorporated Robeson County. Her family had just managed to repair two houses that house three generations of her family, she said. Now they feel like they’re starting all over again.